Tuesday is only a couple of days away, and with the observance of Memorial Day in the states on Monday, it will be the beginning of the next work week in the U.S. It also is the day that T-Mobile subscribers get their weekly freebies thanks to the T-Mobile Tuesday program. If you are a subscriber to the nation's third largest carrier, all you need to do is open the T-Mobile Tuesdays app to claim your weekly tokens of appreciation from the company. 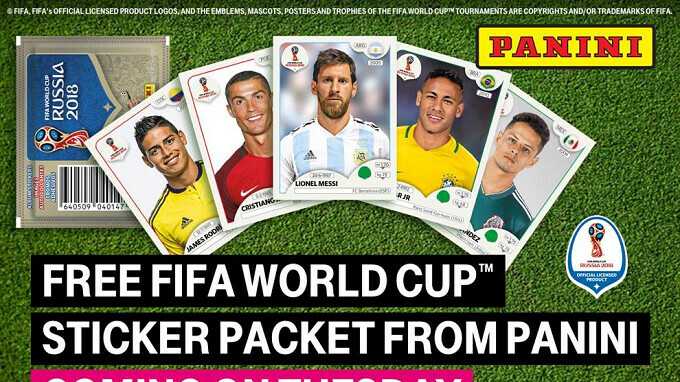 Free FIFA World Cup stickers from Panini. $25 toward dinner from a Restaurant.com eatery. Free one-day disc rental from Redbox. 60 days free of the Gold's Amp App which is a virtual personal trainer for the gym. Fee-free Money transfer from Western Union. $50 Amazon Gift Card free for every night you stay at a HotelStorm property. Last week, T-Mobile gave away ten LG G7 ThinQ handsets for its sweepstakes prize. This Tuesday, there is no sweepstakes although T-Mobile does say to check back next week.